Congratulations! You are embarking on an exciting journey. Adopting a Persian cat is a big decision. And you should be excited (but its also very important to be prepared). Adopting a Persian cat might seem overwhelming. But don’t stress, we are going to cover everything you need to know about adopting a Persian cat. By the end of this post, we hope you feel confident and prepared to adopt your very own Persian cat. So are you ready? Let’s start with the basics. Their lifespan– Domesticated Persian cats can live up to 17 years. Make sure you are ready to make a long-term commitment before you adopt. Grooming- Persian cats require daily grooming. Their long coats need to be brushed and their eyes need to be wiped. So, be prepared to regularly groom your new pet. Their Health- Persian cats can face a variety of health issues. Their flat faces can lead to breathing and tear duct issues. They also often experience kidney and heart disease. Your Budget- Persian cats can be expensive to adopt, especially if you adopt from a breeder. The adoption fee can range from a couple hundred to a couple thousand dollars/pounds/euros. Also, Persian cats can be expensive to maintain. You need to consider food, grooming, vet, and medication expenses before adopting. Naming your Persian cat- Your Persian cat may already have a name or you may want to change their name. Choosing a new name could be the perfect start to your Persians new life. I wrote a post with 200+ Persian cat names. So you’ve thought about adopting a Persian cat. You’ve considered everything and are ready to move forward. Now you need to decide where you will adopt your cat. Are you going to adopt from a rescue shelter or a breeder? It is usually recommended to adopt a pet from a rescue shelter. There are millions of cats in rescue shelters looking for homes. Unfortunately, it can be hard to find Persian cats at rescue shelters. But, it is still a good place to start. Research local rescue shelters. Call, email, or visit the shelters to ask if they have any Persian cats. If they don’t have any, they still might be able to recommend other places to look for a Persian cat. Usually, adopting from a shelter is relatively inexpensive. You just might need to complete an application form and background check before adopting your cat. If you can’t find a Persian cat at a rescue shelter, your other option is to adopt from a breeder. There are many reputable breeders. But, there are also less reputable breeders. And you want to trust the breeder before you adopt a Persian cat. Do some research before contacting a breeder. Ask rescue shelters or veterinarians for recommendations. When you find a breeder, ask them some interview questions, like how long they have been a breeder and how many cats they breed every year. Take note of the site conditions and general appearance of the cats. When you visit the breeder, trust your instincts. If it feels like a cat mill, it likely is. But, once you’ve conducted your research and interview, you can adopt from a breeder. Just be prepared, they often charge an expensive adopting fee. Regardless of where you adopt, if you adopt a kitten, make sure it is old enough for adoption. Most kittens shouldn’t be adopted until they are 8-12 weeks old. 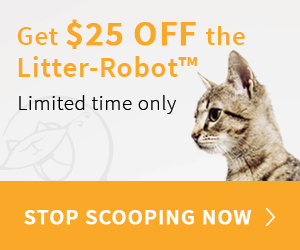 A litter box– Your cat may or may not be litter-box trained. Either way, start strong with a litter box. Make sure it is filled with litter before you bring your cat home. At some point, after you bring your cat home, place them in the litter box so they know where it is. A cat bed– Your new pet will appreciate a soft place of their own to sleep. Grooming tools– Persian cats need to be groomed frequently. Make sure you at least have a brush before you adopt. Food and water– Be prepared with food and water. Set out the bowls so your cat knows where to eat and drink. You can also have a few treats on hand. Toys– You new per might feel anxious at first. Play with them and introduce them to some toys to help them feel more comfortable. A scratcher– Cats need to scratch to wear down their claws. Have a scratcher available so your cat won’t be tempted to scratch furniture. Cat-proof screens– In summertime keeping your cat indoors can be a challenge to say the least, especially when you need to open your windows. This is where cat-proof screens come in. So your home is ready. And you’ve adopted a new Persian cat. Now what? It’s time to be patient. It can take a while for your new Persian cat to feel comfortable in your home. They need time to explore their new environment. But you can also help them feel settled. After adopting, make sure you give your new cat plenty of attention. Play with them, pet them, and groom them. Show them that you care. After some time, they will feel more comfortable and realize they are home. It is also important to take your new pet to the vet. Your cat should get a routine check-up just to make sure they are healthy. Your vet will also make sure they are up-to-date on any vaccinations. So, are you ready to adopt a Persian cat? This is such a fun and exciting time. But you also need to do your research. Spend some time looking into breeders and rescue shelters. Visit the shelters and interview the breeders. Adopting a Persian cat is a long-term commitment, so you don’t want to rush the process. But when you’ve decided and adopted your pet, enjoy every moment! The first few week and months with your cat are extremely important. This is the time for you to bond with your pet. Do you want to share your Persian cat adoption story? We would love to hear it! Share it below.